Applying for college is one of the most exciting, yet nerve wrecking, times of your life. Not only are you making choice as to what community you will be a part of for the next four years, but you’re also deciding on a major that will most likely lay the groundwork for a career after graduation. Hold the brakes, though … You have to get accepted first. The excitement of simply thinking about going to college can be amazing, but the path to acceptance is often a lot more complicated than students realize. When you are looking through requirements for each school, you’ll probably notice that every one has different criteria. For example, Stanford University requires a lot more paperwork and a higher GPA and test scores than Arizona State University. It’s important that you keep track of these differences so that your application doesn’t get delayed! 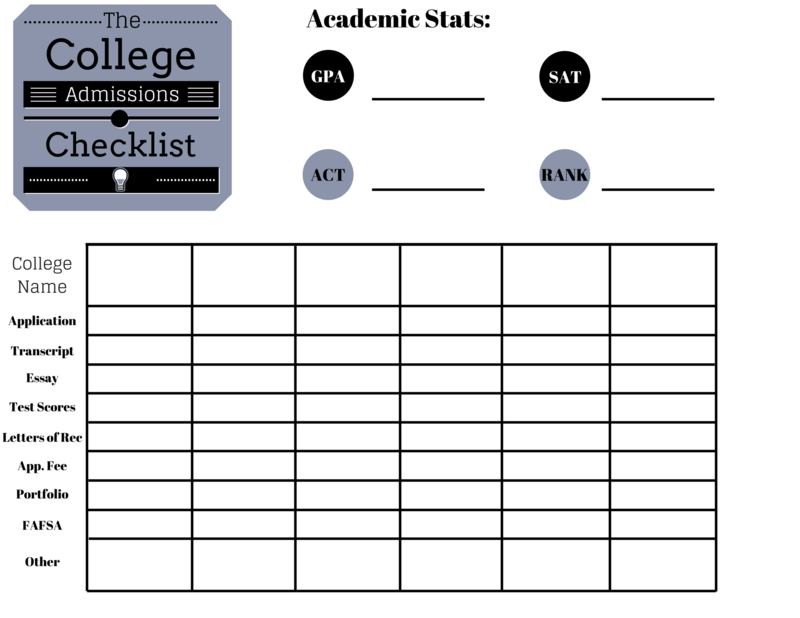 That’s why I included a free college admissions checklist printable so that you can keep track of everything. This simple college admissions checklist has a place for you to put your GPA, class rank, and test scores so that you can easily refer back to it when you are filling out your college applications. If you don’t have any of this information on hand, make sure you talk to your school counselor and/or registrar to find out your class rank and GPA. As for your SAT and/or ACT test scores, you should be able to access those on College Board or the ACT website. At the bottom, there are six columns for you to use, one for each college that you plan on applying to. 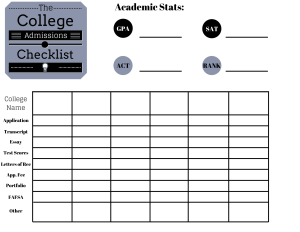 I created this college admissions checklist with the intention that you would either put the date that you completed the task (or N/A if you didn’t need to do it), or to put a check mark once the task was done. You may come up with a different method that works better for you and that’s totally fine! I want you to do whatever makes the most sense (you’ll be the one reading this after all). I HIGHLY encourage you to go to each college’s admissions webpage to look for requirements and deadlines. It’s important to note that most early action deadlines happen in November and December whereas normal admissions deadlines are between January and March. The more competitive schools tend to have earlier deadlines, so it’s important to start looking at the requirements months before you plan on applying. The last thing you want to happen is to be left with only two weeks to gather all the materials you need to submit. That’s why this college admissions checklist exists. If you are a high school junior or senior, do yourself a favor and print this out right now. Even if you don’t plan on using it just yet, put it somewhere where you’ll have easy access to it and reference it once you get ready to turn in your application. Display it on your fridge, desk, or wall so that you know exactly where you stand with each school you’ve applied to. Questions? 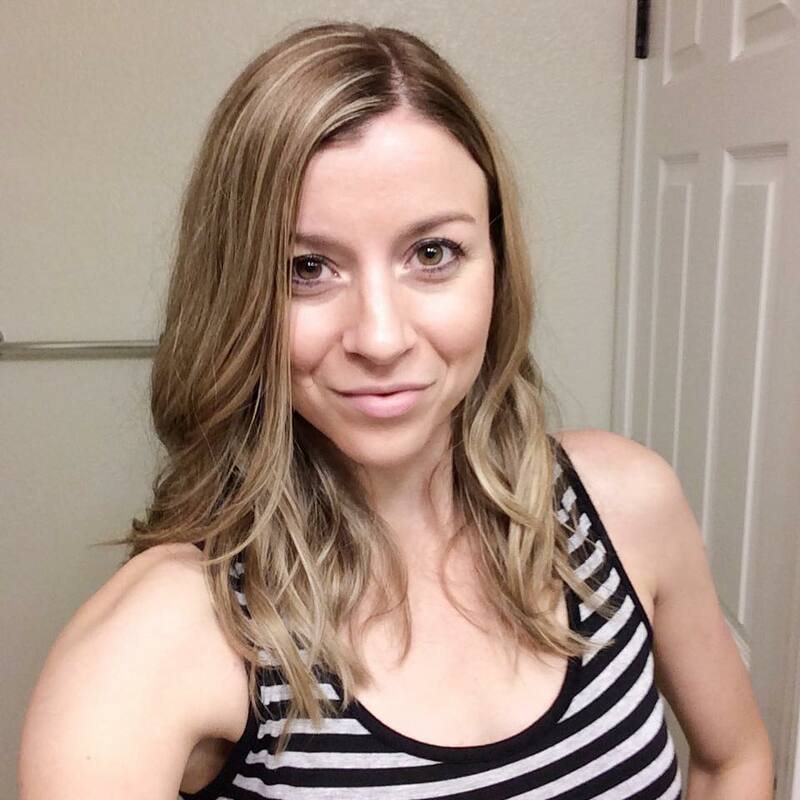 Need Help with Other College Topics? I’m here to help in any way that I can!